We are glad to offer you trunks for mining, wood and other technics. First of all, we specialize on deliveries of Large-sized and Superlarge-sized trunks ( 33.00-51, 27.00-49, 45/65-45.. ) for supersize dumpers ÁÅËÀÇ, CATERPILLAR ; heavy loaders of mine and ground execution. Trunks ODYKING and TECHKING are widely widespread in the countries of the Western Europe, the USA and Canada, and recently and in Russia. We have fine operating experience of the given trunks with which many of our happy clients are ready to confirm. All assortment of trunks offered by us is made at the factories certificated on the international control system by quality ISO , DOT , that is confirmed by corresponding certificates, and our long cooperation with factories allows to provide the good prices and stable deliveries. We deliver trunks from warehouses of factories, thus term of delivery Vladivostok within the limits of 4 - 6-òè weeks up to the buyer . In a warehouse of a factory stably there are basic sizes 33.00-51, 27.00-49, and so forth in quantity 2 - 3 norms of shipment by 40 foot container. greater ability to transfer short-term overloads; ability to recycling. Trunks of a series "" are trunks for dumpers and the tractors maintained on rocky and other firm surfaces. These trunks are intended for the supersize machines moving on not advanced surfaces for speed up to 40 miles/?. Trunks Å-3 have figures of a protector with ãðóíòîçàöåïàìè with a parity two one. These trunks intended for operation on a stony surface, possess good resistance to the damages, the caused stones, plus good coupling. Trunks of type Å-3 are mainly used on dumpers with face unloading, dumpers with unloading through a bottom, scrapers and mobile cranes. Trunks can be established on all positions of axes. Trunks E-3 with usual depth of figure of a protector also have good temperature constancy and are applied there where cargoes are transported on greater distances and on high speeds. Trunks of type Å-4 for stony surfaces have depth of a protector in 2,5 times more, than trunks E-3 with usual depth of a protector. Owing to the big weight of a protector these trunks have longer service life of a protector and exclusive stability damages from stones. 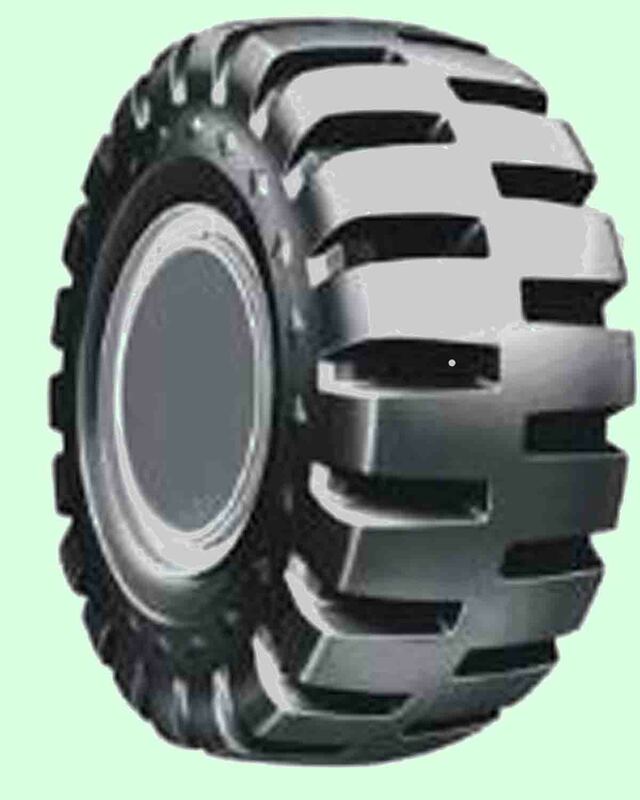 These trunks are mainly used on all positions of wheels of vehicles in the mining industry and in êàðüåðàõ, where prevail short transportations and severe rocky conditions. Trunks of a series "L" are used on loaders and bulldozers of all sizes in conditions of impassability, and also on supersize career dumpers. Trunks of greater sizes (superlarge-sized trunks) for loaders because of extremely heavy design as a rule demand very low speeds of operation - up to 10 km/h. Figure of a protector of trunks of a series L-2 the raised coupling possesses the maximal coupling on a sandy and soft ground. Figures of a projector "General" are directed, that provides good coupling and clarification of a protector. Figure L-3 for a stony surface possesses good coupling and resistance to influence of rock at operation of loaders of a general purpose. Smooth figure of a protector L-4S is a good choice for the technics maintained under the ground in the mining industry. Smooth figure of a protector of the trunk provides the maximal protection of a protector from ðàçäèðîâ at operation under the ground in the mining industry. Figure of a protector L-5 for stony surfaces is most widespread in the industry for trunks of loaders. Its very heavy weight of a protector provides the raised resistance to influence of rocks and durability of a protector in severe conditions of operation on rocky surfaces. the Massive trunk L-5S has massive figure of a protector with extremely high resistance to damages and penetrations of rocky breed. 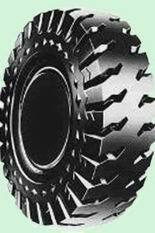 Owing to its smooth figure are eliminated ðàçäèðû humeral ãðóíòîçàöåïîâ the loaders working in severe conditions on rocky surfaces and under the ground in the mining industry. This type of figure is better approaches for the trunks used with protective circuits at operation in hot slag and in heavy conditions çàñûïíûõ of works. Figure of a protector L-5/L5S is unique that is offered both with ãðóíòîçàöåïàìè and in a variant of smooth figure. Such design of trunks with smooth figure at installation on lateral aspect of a loader in a forward position possesses exclusive resistance ðàçäèðó and to cuts and thus has uniform deterioration of a surface of a protector. there Are different kinds of depth of a protector: usual, a deep protector and a superdeep protector . Depth 2 types of a protector (Å-4/L-4) makes approximately 150 % of depth of a usual protector (Å-3/L-3), and a superdeep protector (L-5) - 250 % of a usual protector. Internal diameter of trunks E-3/L-3 and E--4/l-4 is approximately identical, though trunks E-4/L-4 have greater external diameter. And on the contrary, trunks L-4 and L-5 have approximately identical external diameter while trunk L-5 has smaller internal diameter in comparison with trunk L-4. Trunks of a series "G" are mainly used on autograders for all types of application. Trunks are intended for speeds up to 25 miles/?. And unlimited distance. G-3 for a stony surface, with usual depth of figure. the Note: Now trunks of a series G usually establish on loading technics, and trunks L-2 and L-3 on graders. Also usual practice is to change direction trunks with the directed figure at their use on forward positions of graders, to prevent deterioration on a heel and íîñêó boards and formation of anguishes. the Note: Now trunks of the same standard sizes are often used for different purpose, and trunks with similar constructional characteristics have double marks, i.e. L--2/g-2, E--3/l-3, it is, etc. important, that for the certain type of operation corresponding internal pressure in the trunk was supported.